The perfect place for Earth's heavy industry? 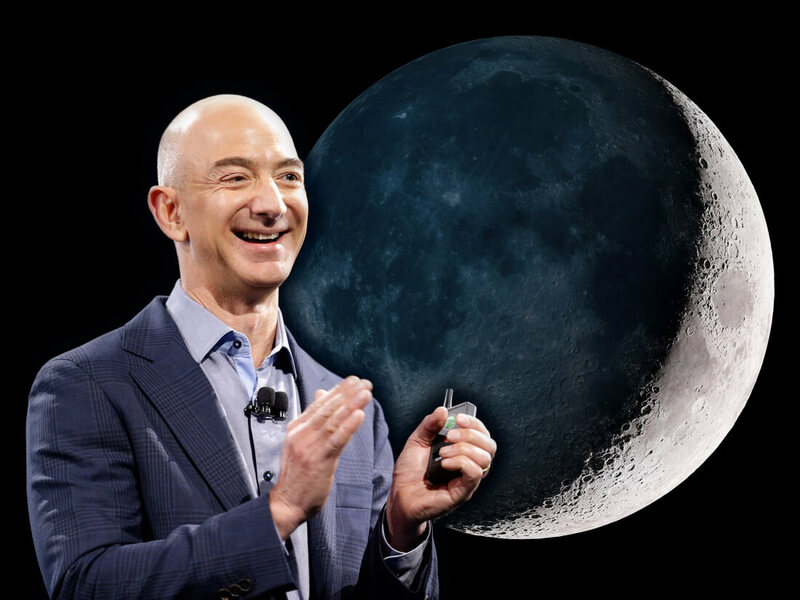 Why it matters: World’s richest man Jeff Bezos has already spoken about his ambition for humanity to return to the moon. Now, he’s elaborated on these plans, which includes Blue Origin working with NASA and the European Space Agency to create a permanent settlement on the surface. Speaking at the Space Development Conference in Los Angeles on Friday, Bezos said that even if the space agencies aren’t open to a partnership, he is willing to do what needs to be done to make the dream of a moon settlement a reality. Bezos said one of the first goals is to reduce the costs associated with space travel. Blue Origin hopes this will be the case with the New Glenn rocket, which has a reusable first-stage booster and should provide commercial launch services for satellites in the 2020s. Providing there’s enough support, the company hopes to launch its Blue Moon lander (below) by the middle of the next decade. It's capable of delivering five tons of payload to the lunar surface. A moon colony might sound like the stuff of science fiction, but Bezos says all the elements are there, such as 24/7 sunlight for solar power and deposits of water ice that could be turned into drinkable water, air, and rocket propellant. “It’s almost like somebody set this up for us,” Bezos said. The CEO added that moving heavy industries to the moon will help our planet cope with rising power demands and a growing population. The idea is for Earth to be reserved for “residential and light industrial” purposes. He also suggested that some people might live and work in hollowed asteroids.